Blue & White Stripes To Cure The Monday Blues! The Cutest Lemon One-Shoulder Top! 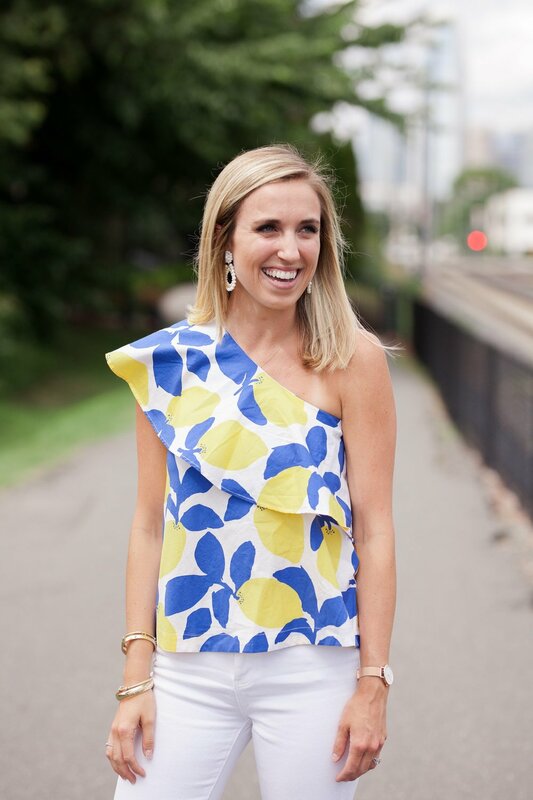 This lemon patterned one shoulder top is my go-to this summer!